Japan has once again failed to make progress in raising its sales tax rate, after a government appointed committee failed to reach an agreement on any changes to the tax. 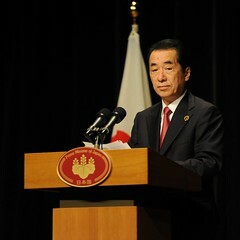 On June 20th Prime Minister Naoto Kan held a press conference in Tokyo, in which he revealed that a government appointed committee has failed to agree on the details tax and superannuation system reforms, putting an indefinite delay to any proposed tax changes. The committee, which was chaired by the Prime Minister, discussed the feasibility of significantly increasing the country’s sales tax rate, in order to fund the government’s earthquake rebuilding efforts. The panel also intended to finalize plans for an overhaul to the national superannuation system. It was expected that on June 20th the committee would announce a timeline for doubling the 5 percent sales tax rate by mid-2016. Naoto Kan revealed that there was still widespread disagreement regarding the proposed sales tax increase, which has proven to be a widely contentious issue throughout his time a Prime Minister. Several key members of the Japan’s ruling Democratic Party of Japan still opposed the plan, seeking promises that the tax would not rise until the country was in a more stable economic position. The Japanese government has already sought to assure international investors and credit rating agencies that the disagreement is regarding timing and details for the change, and the county will soon carry out the actions necessary to improve its economic standing. Commenting on the potential for a quick resolution to the disagreement, Naoto Kan was pessimistic, saying that it is not clear when a final meeting will be held to agree on the country’s tax future.